Annapolis Royal's mayor says the 10-part CBC miniseries mistakenly says the first permanent European settlement was close to what's now Quebec City — not in Nova Scotia. The new CBC miniseries Canada: The Story of Us has caused an uproar in a small Nova Scotia town after claiming that the first permanent European settlement was close to what is now Quebec City, not Port-Royal. 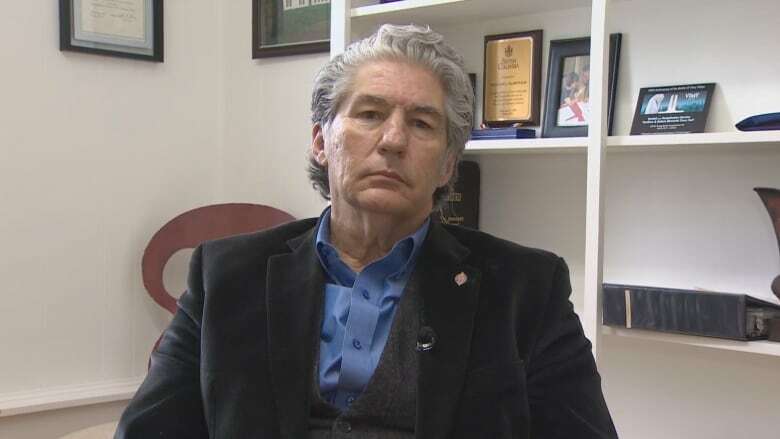 Annapolis Royal Mayor Bill MacDonald posted on Facebook this week that he was "very troubled that the CBC has misrepresented Canadian history in the first episode of its television miniseries." The location of Port-Royal is not far from modern-day Annapolis Royal and is a national historic site. Samuel de Champlain helped establish the settlement in 1605, although it was temporarily abandoned by the colonists in 1607. "Annapolis Royal is the cradle of our nation, and this erroneous representation of history is disrespectful — as it erases (in a national broadcast) the true origins of our country," MacDonald said. "This misrepresentation of Canadian history warrants a campaign to set the record straight." The producers of the series, Bristow Global Media, told CBC's public affairs office that Port-Royal came up many times during research for the show. But they decided to define permanence as a continuous, year-round population and settled on Champlain's 1608 settlement in what is now Quebec. Further, the show's producers noted the previous attempt at permanent settlement in Port-Royal was cut short in 1607. "What we've had to do was to choose stories and inevitably we only have 50 stories, there are certain parts that are omitted," said John English, an author and a historian who has been guiding the series since it was in development in 2015 and also appears in the miniseries. "We chose Champlain as one of the stories and we mention that he made other voyages to North America and what has become Canada, and what we did was choose to focus on him establishing the first permanent settlement in what is Canada." English also pointed to the Parks Canada website, which says Port-Royal was "one of the earliest European attempts at settlement in North America." English said the show focused on Quebec City because it became a permanent settlement after Champlain established himself there. "It is the birth of a nation, the birth of Quebec if you like and of course it eventually becomes Canada," he said. "We had to connect our stories ... and inevitably there are things left out." ​That explanation didn't satisfy the mayor of Annapolis Royal. "From the perspective of continual occupancy being any kind of a criteria for a permanent settlement, in 1607 Pierre Dugua lost his monopoly on the fur trade and so he was returning to France," MacDonald said. "He turned over Port-Royal to Sieur de Poutrincourt, and Poutrincourt went back to France to bring his family and colonists back and he left the care of Port-Royal, the habitation, in the hands of Chief Membertou and the Mi'kmaq people who were here." MacDonald's post about his frustration with the show resonated with a lot of people. As of Wednesday, the post was shared more than 200 times and it has generated a lot of discussion. "It resonates with a lot of people, they're concerned about the origins of Canada from here aren't represented," MacDonald said in an interview. "This was one of the sites where global empires fought and struggled for control of the New World and so we take exception to that first episode." The mayor said he is also concerned about the miniseries being used in classrooms as a learning tool. As for how the show could make it right, MacDonald said it could start by making sure the whole story is told. "In an age of prequels, perhaps that's the way to go." English said Nova Scotia has a rich history and that more stories from Atlantic Canada will be coming up in future episodes of the series. Nova Scotia's Viola Desmond and Newfoundland's Joey Smallwood in episode nine.